Automatic/One touch Coffee Machine Recommendations? Thread: Automatic/One touch Coffee Machine Recommendations? Long time coffee drinker but I have predominately either bought my coffee (for example at work) or ground and dripped my coffee (at home). Recently noticed at Costco this "one touch" coffee machine by Jura - Jura Ena 9 aroma one touch. Didn't even realise you could buy this type of machine for home without spending thousands. I did a bit of research and it looks like these type of machines actually give quite a lot of control over the brewing variables. But I am a novice in this area - if I went down this track I would be interested in essentially something that could make a long black and a flat white with a frothing ability/attachement. So I am looking for recommendations for something in the 500~900$ range. If its the Jura mentioned above I am OK with that but wanted to check here before pulling the trigger. I don't want to spend $600 and then find out it isn't really better than my old faithful drip-coffee machine. I had a laugh. A few people obviously think they can get a magic, one touch electronic barista for next to nothing. Classic. Probably the same sort of people who eat crap, don't exercise, take diet pills and don't understand why they're still overweight. GrahamK, Barry O'Speedwagon and Vinitasse like this. Yeh, was about to say something similar. I think Leroy was talking about the comments on the link that Dimal posted, but wouldn't take a giant leap of logic for the OP to feel a bit upset. Sorry I was actually talking about the reviewers in the link that Mal put up. I see it could've been taken otherwise so I apologise, I definitely didn't mean the OP. Dimal, GrahamK and chokkidog like this. Low end Jura's are terrible. Their grinders are useless and the coffee, regardless of what you do, will taste bland. 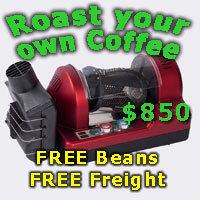 If you have a budget of under $1000, I would suggest an entry level DeLonghi machine. They can be had new from between $600-$1000 but will have a manual steam wand. If you want a true one touch operation, i.e. frothing the milk for you, you will stuggle with a budget of under $1000. The DeLonghi Magnifica S has a manual steam wand and is $1000. The next step up from there is the DeLonghi Compact ECAM23.460.S. These are great machines but are around $1500. I personally prefer the full size DeLonghi machines rather than their compact range but you will be looking at over $1500 for anything in the one-touch operation range. Another option is buying second hand. There is a repairer from Sydney who has many ebay listings, they are authorised repairers for DeLonghi and other brands. There are some good bargains on there. Auto machines aren't popular here but they do have a place (as long as you avoid pods). The more expensive Juras can do okay but I'd mostly recommend them for offices rather than the home. My understanding is that the dealer network for Jura in Australia is good and they service office and other clients well. They give personal service, they service what they sell, they run delivery services, supply coffee and accessories etc. If you buy from a dept store on the other hand even if it is the same brand, there wont be any of the personal service you will get through the dealer network. Jura dealers are the office supply arm of the Jura distributorship network in Australia. That is why they offer the services that they do, while the dept store network does not. Thanks everyone. Those reviews of the Jura are HARSH. Glad I didn't make the impulse buy. I'll check out the DeLonghi as well, thanks for the recommendation. Though my wife said lets just buy a frother and be done with it. But I like the mess free setup of a all in one unit. Though I think I need to do more research. I don't want to part with 1k and end up with something that is worse than my trusty drip machine. Don't be deceived by the so called 'mess free' allure of an 'all in one' type machine. I have seen one or two packed full of mould inside the machine. Water + coffee + a few days= mould...... big time. Absolutely agree with chokkidog, the all-in-one solution is not as mess free as you may think. The warm wet coffee pucks quickly turn into mouldy slimey pucks. I would stay away from a single push button machine. Mould gets into the disposal area? It can for sure. So the more frequently you clean the machine the less likely it is you'll have any issues. I'd take a Nespresso over one of those automatic Jura type things. At least the machine itself is cheap. If you are living in HK on a permanent basis, you would be aware of that humidity that encompasses the city. He went OS for 6 weeks and cam back to a machine needing repair. I declined any coffee he offered for the entire visit. I had a laugh. All times are GMT +10. The time now is 08:02 PM.